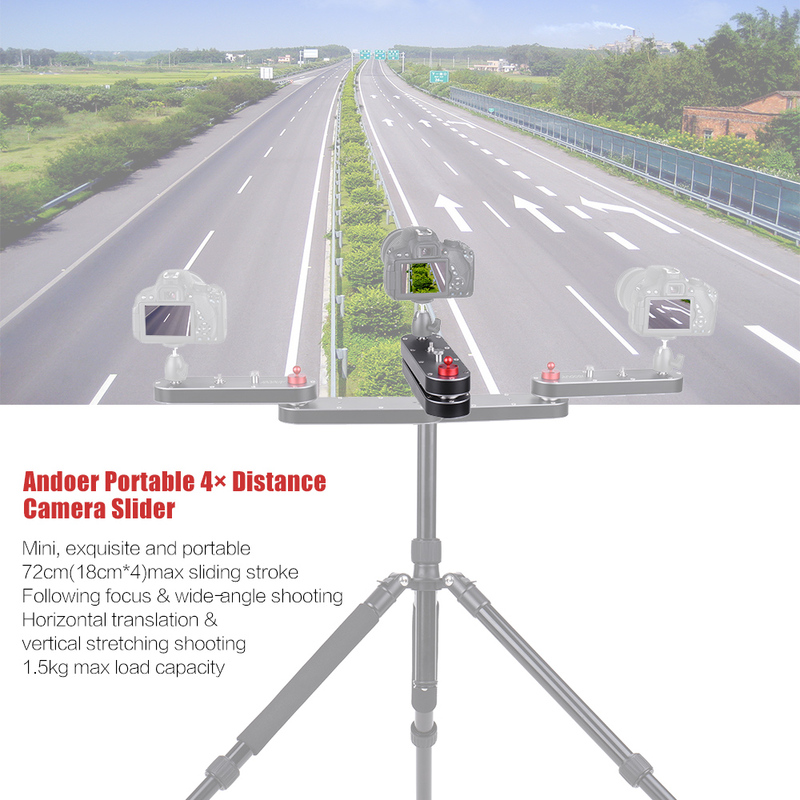 Because of the flexible 2-section joint structure design, while moving, the slider has the effect of extending up to 4× distance ! The slider is equipped with two 1/4″ screw mounts on top, which are suitable for GoPro and other action cameras, smartphones, DSLR cameras and ILDCs’ video recording. If your device is in rectilinear motion on the item, it will achieve the horizontal translation shooting and vertical stretching shooting functions. 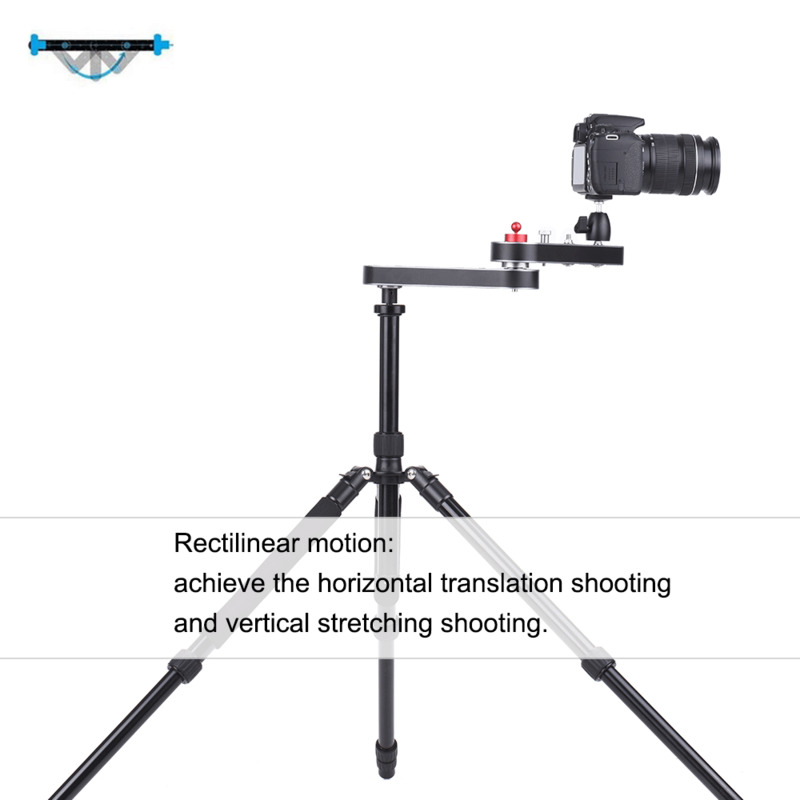 If your device is in arc movement on the item, it will achieve partial function just like a photography jib, letting your camera follow-focus or wide-angle photography. 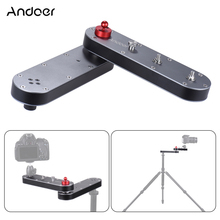 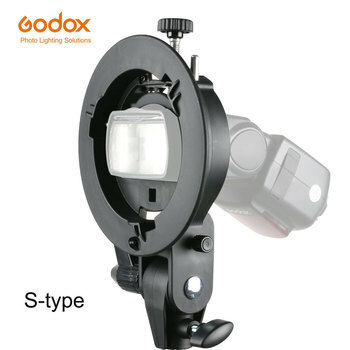 Made of high strength aviation aluminum-alloy, adopt the fold-able & exquisite design, durable, reliable and portable. 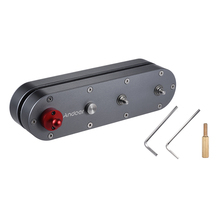 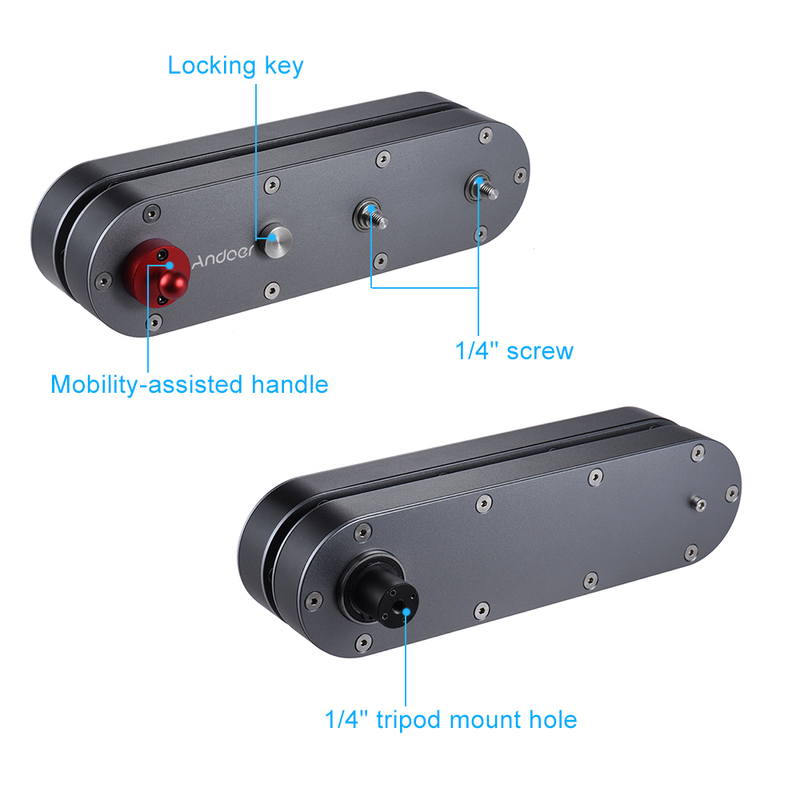 With 1/4″ screw hole on bottom, the slider is convenient to mount on a tripod for shooting. 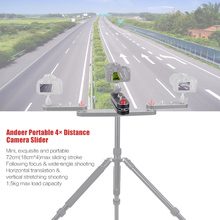 The item can be used not only as a camera slider, but also as a ball head by twisting the middle silver knob to fix it. 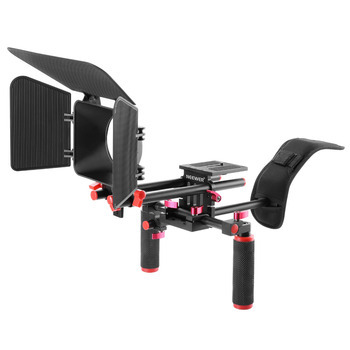 A great slider and very compact. 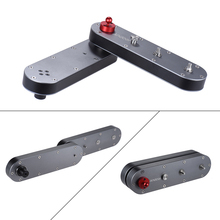 Works well thank you store.